A few days ago, the Grenfell Tower in London burned leaving a few dozen dead so far and hundreds of affected. 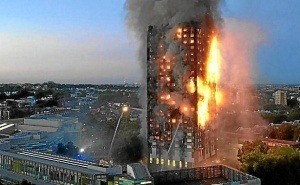 The Grenfell Tower apparently did not comply with many fire regulations as well as being constructed by high flammable materials. Many other buildings in the UK are in the same situation they haven’t suffered the same. Today from Mercortecresa we wonder how we should protect this type of buildings and skyscrapers against the fires. What is the current trend in fire protection in skyscrapers? In Spain, the CTE stands safer structures and increase fire safety for them. For example, it establish many measures for preventing the spread of both inside and outside the building and the structure fire resistance. A good fire prevention system does not work if once installed there are not a regular maintenance, which is what ensures the effectiveness of the system. The maintenance phase is the proof that the system is working equal as the day it was installed. What does Mercortecresa about it?